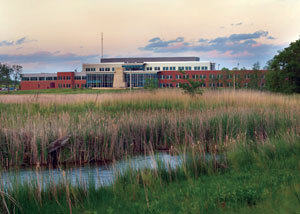 Lakewood Health System in Staples, Minn., initiated a medical home program in 2008. When her doctor suggested she be admitted to the medical home program at Lakewood Health System in Staples, Minn., Joan Morphew thought, “I don’t need that kind of care.” Morphew assumed a medical home would be like home care and hospice, services provided in their home when her late husband was ill. Instead, the medical home embraces a team concept where a primary care provider works with other health professionals to ensure that patients receive coordinated, accessible, comprehensive care on an ongoing basis. Now that Morphew is in Lakewood’s medical home, she understands the concept and appreciates the coordinated care it provides. Morphew is among approximately 500 patients, most with chronic or multiple illnesses, who have been admitted to the program since it opened in 2008. The rural regional center altogether serves about 30,000 people in a 40-mile radius. Community Care of North Carolina (CCNC), which began coordinating care for Medicaid patients in 1991, adopted the enhanced patient centered medical home (PCMH) program in 1998. Today CCNC covers all 100 counties in the state with 14 networks and 891,000 patients. The numbers and types of health care providers involved in medical home networks vary, but a primary care provider and a primary point of contact—often referred to as a coordinator or case manager—are essential to the concept. Dr. John Halfen, medical director of Lakewood Health Systems in Staples, Minn., says that the medical home concept allows doctors to view the patient’s entire health care situation. CCNC’s case managers identify patients with high-risk conditions or needs, assist providers in disease management education and follow-up, help patients coordinate care and access services, and collect data relative to the patient. CCNC and Lakewood invest considerable time encouraging patients to take charge of their own health. Individualized instruction, newsletters, educational sessions and support groups are among their outreach methods. Electronic medical health record systems help staff coordinate care and track patients’ progress. While it might appear that medical homes are too labor intensive for already pressed rural providers, Dr. Halfen said staffing pressures are reduced because patients are more proactive and get help before problems become as acute. CCNC has documented significant improvements in cost, utilization and quality measures, Levis said. A 2006 external accounting audit showed that North Carolina’s Medicaid program saved $124 million from what it would have otherwise spent. North Carolina physicians also have a higher participation in Medicaid, Levis said, because the state compensates them more, whereas physicians in many states refuse to see Medicaid patients because reimbursements are so low. CCNC leaders also regularly meet with physician organizations, legislators and other health care leaders to explain and validate the program’s value. “You have to do your homework,” Levis asserted. 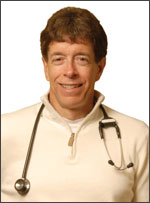 Dr. Halfen and Levis believe medical home programs will continue to grow as existing programs demonstrate how patient care improves when facilities implement the Joint Principles of the Patient-Centered Medical Home, which were developed cooperatively by four national physicians’ organizations. “Chronic patients are seen as the patients that most benefit being in the medical home but in reality, all patients benefit from this type of care,” Halfen said. The National Advisory Committee on Rural Health and Human Services is examining the medical home concept in a chapter of its 2009 report. Its Medical Homes subcommittee held site visits at medical homes in the United States last year, in preparation for the report. The report will be available on the Committee’s Reports page this spring. This entry was posted in Features and tagged Medical homes, Minnesota, North Carolina, Primary care, Service delivery models on May 28, 2009 by Rural Health Information Hub.